Holy Molly, Kueh ga-lo-re! That was the first thing that came to my mind when I stepped into Molly’s Nonya Cake & Confectionery in Hougang located just beside the Hainanese Village Food Centre. 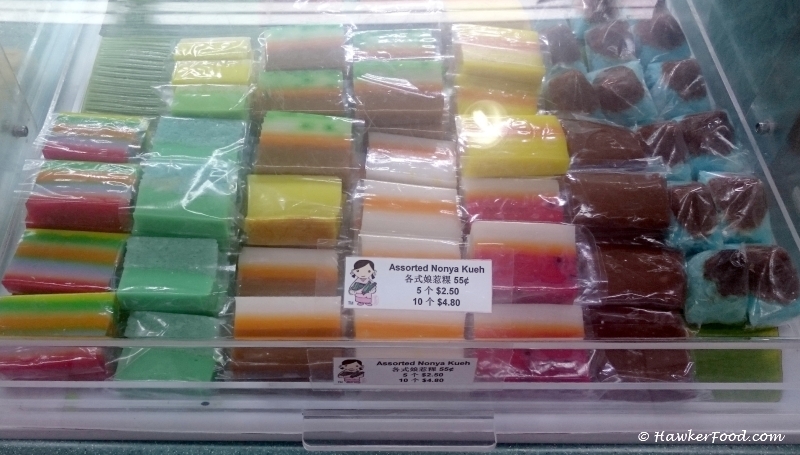 I have eaten Molly’s Nonya Kueh at a relative’s birthday gathering many moons ago but had never visited the actual store. I had cravings one day and decided to pay them a visit. Now onto the myriad of kuehs!! The moment you step into the shop, an assortment of prepacked kuehs will greet you. 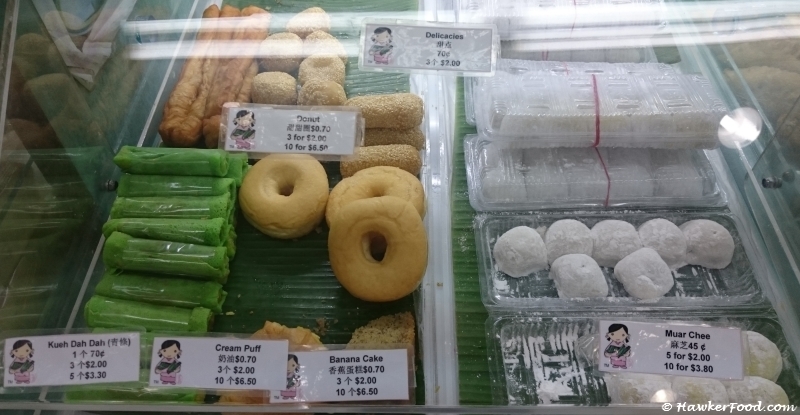 There are traditional sweet cakes, kueh ah boon, glutinous rice, otah, mini ondeh ondeh (green coloured glutinous balls filled with gula melaka), putu mayam (South Indian snack of steamed rice flour noodles, with grated coconut and palm sugar). 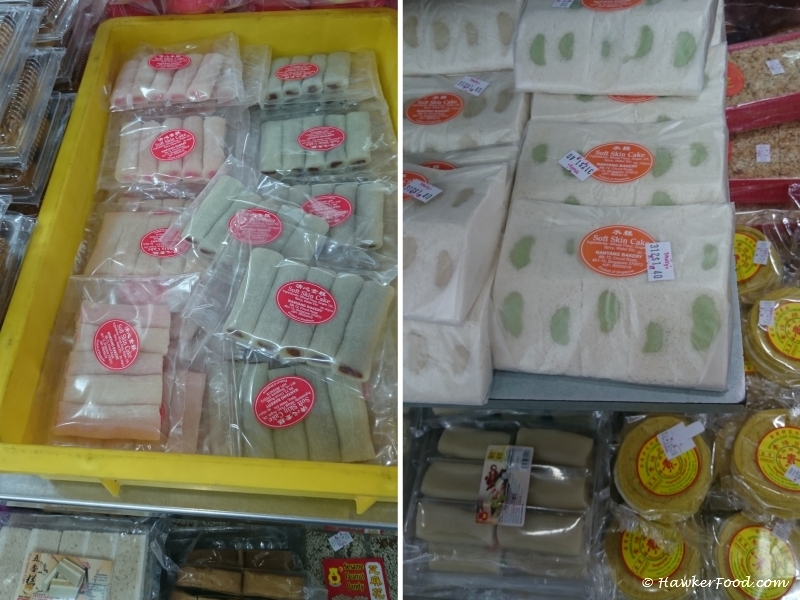 From curry puff, durian and normal kueh ah boon, hainanese kueh to the multi-coloured “Ang Ku Kueh” (Red Tortoise Cake as it is moulded into a shape of a tortoise shell). 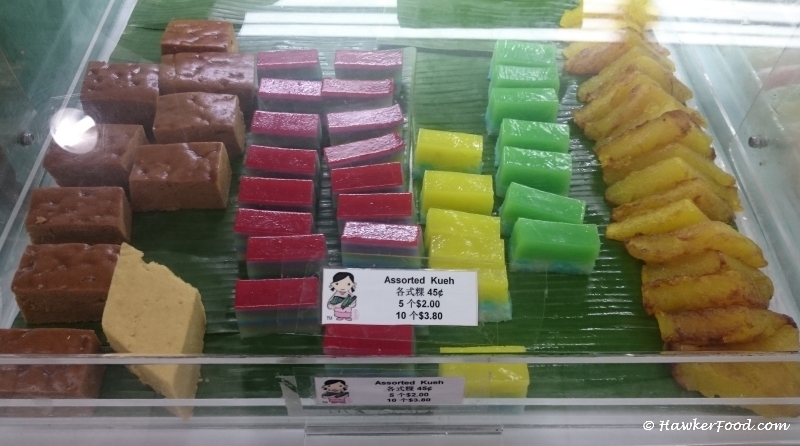 Ang Ku Kueh is traditionally served/gifted as part of a baby’s first month celebration. 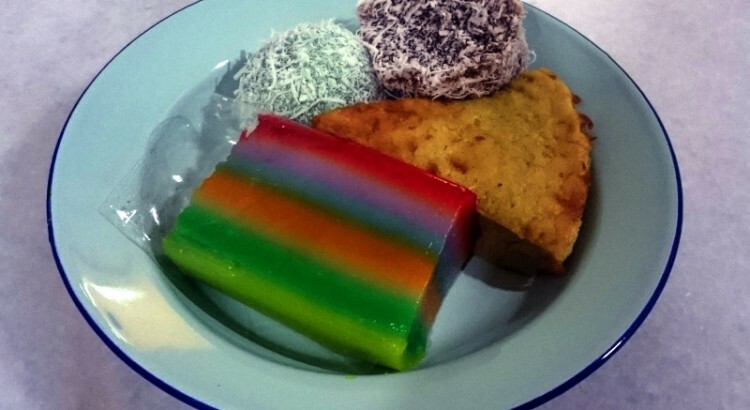 Assorted kuehs, who does not love the 9 layers kueh? When Lao Beng was young, I will always peel off every single layer, exclaim the colour before putting into my mouth. One thing I always did was not to eat the first layer (red) but I could not remember the reason why. Till today I still have the same practice of peeling every layer before eating but I do not exclaim the colour anymore…wait people think I siao (crazy) already. 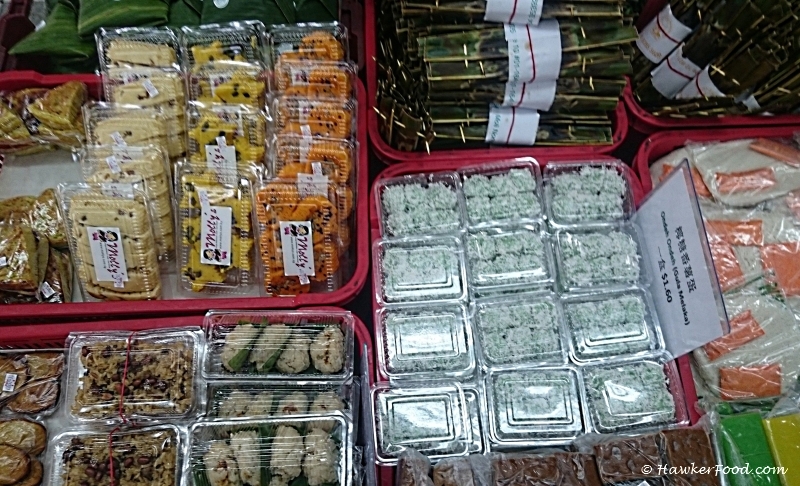 This assortment of kuehs looks higher in quality, I bought the Nonya 9 layers cake on the extreme left. On the extreme right is pulut inti which is basically glutinous rice with coconut toppings. 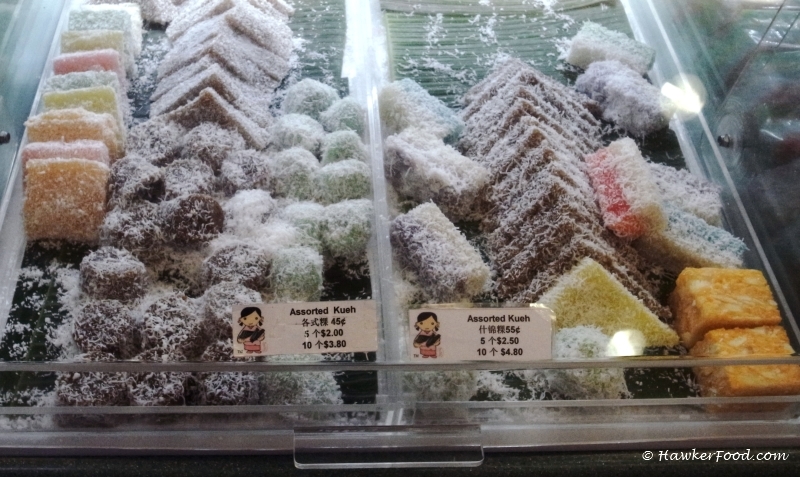 This assortment of kuehs is basically made from tapioca and covered with slightly salted fresh grated coconut. One particular favourite of mine is the dark brown kueh ko swee as it is made using gula melaka (dark palm sugar). The ondeh ondeh is different from the mini ondeh ondeh as it is filled with grated coconut infused with gula melaka. 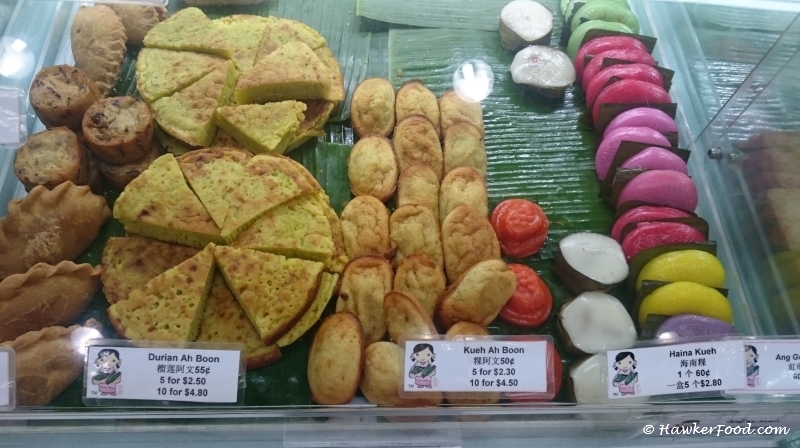 You can also find Kueh Dadar (green pandan flavoured rolled crepe filled with grated coconut infused with gula melaka) muar chee and other traditional delicacies as well. These soft skin cakes really brought back memories for me, as a kid I loved sweet stuff. I munched into them while watching cartoons on TV. Huat ah! 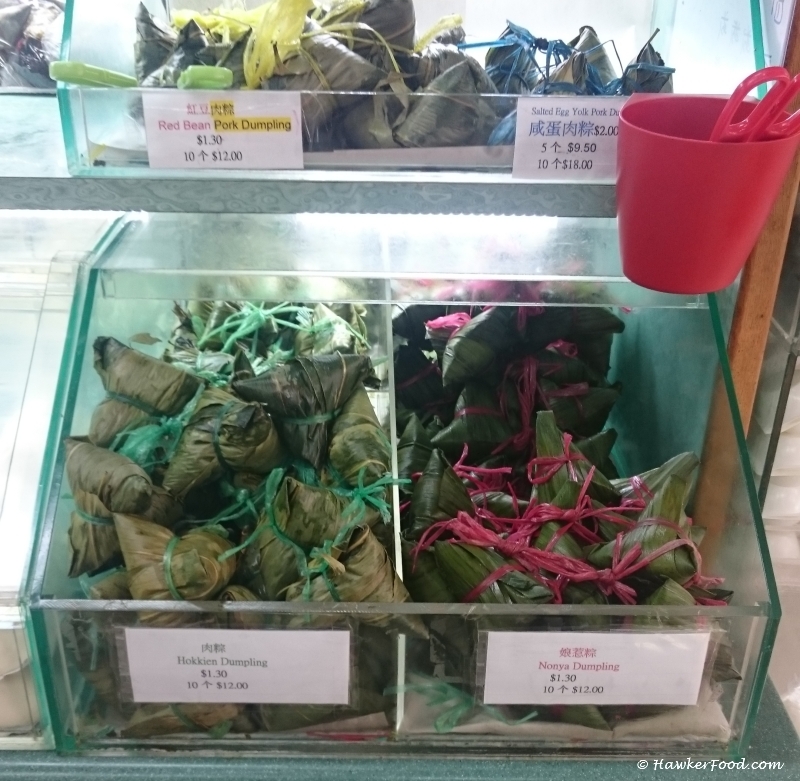 Molly also sells various kinds of Huat Kueh used by Chinese families for praying to the deities. Of course you can also buy just purely for consumption purpose. As the name in hokkien suggests “huat”/”fa”/发 means prosperity comes to you. Eat already sure huat ah, I guess I need to eat more!! 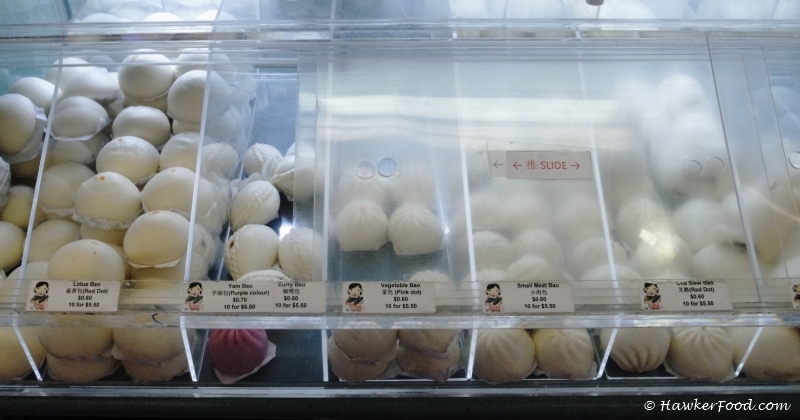 They also sell an assortment of buns / bao with different kinds of fillings. 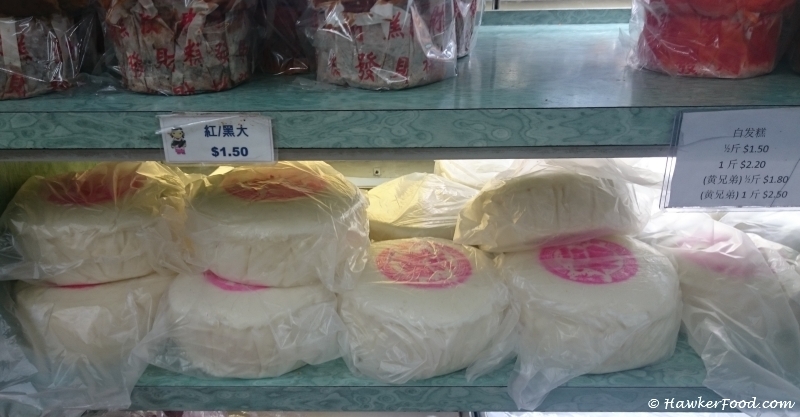 There are vegetarian ones like lotus, red bean, yam and vegetable buns. The standard meat buns of small and big pork buns, kong bak (stewed pork) char siew (barbecued pork) and chicken meat buns. Dumplings are available as well. There are also many other kuehs and delicacies available here which I did not have the chance to take all the photos. Namely, chwee kueh, chee cheong fun, png kueh, soon kueh, gu chai kueh and many others. Once back home, I put the yummy kuehs onto my favourite old school enamel plate. They look beautiful, don’t they? They all tasted delicious and wonderful. I had great fun with the Nonya 9 layers cake, each layer was much thicker as compared to the standard 9 layers cake. Traditional comfort food like these brings you back to your childhood while still retaining the quality and taste of yesteryear. 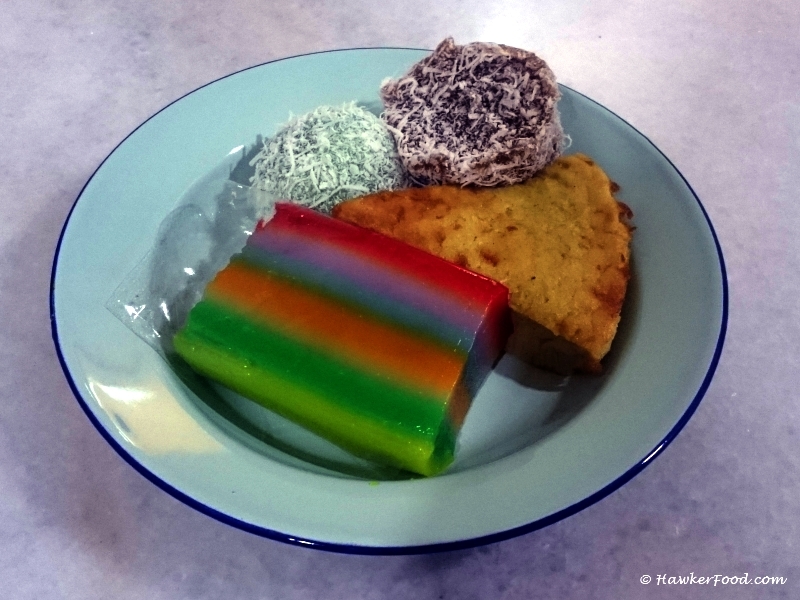 Do check out Molly’s Nonya Cake & Confectionery when you are in need of nostalgic traditional kueh. p.s. : To be honest, my pictures do not do the shop justice, please visit their shop personally and take your time to explore the myriad of kuehs.